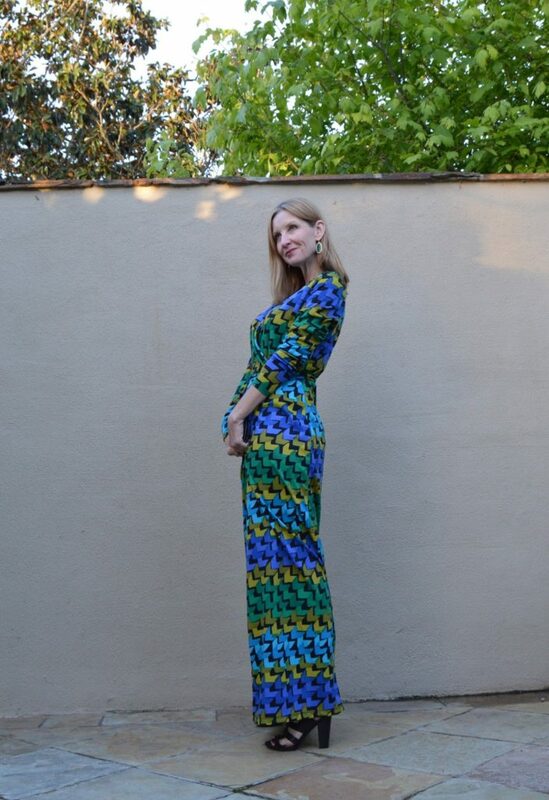 I loved this dress when I first saw it on Cathy of Bay Area Fashionista, so when Shabby Apple listed it as one of the things I could review, I knew it was meant to be! 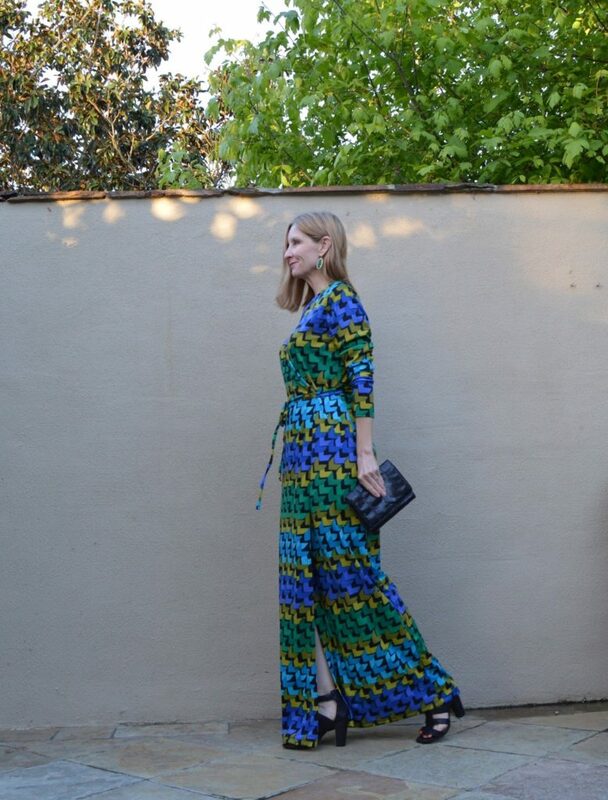 I totally dig the geometic design in these cool colors and my readers already know I’m a sucker for a maxi dress. The dress is also made of great quality fabric, which I really appreciate. And hey I felt so sassy in this I decided to strike an “Angelina” pose. Drop by my Instagram account (@fashionshouldbefun) to win a $25 gift card to Shabby Apple. And don’t forget, you fashionistas over 40, this week is the My Refined Style Link Up. Join us this Thursday! This dress was given to me by Shabby Apple to review. All opinions are my own as always. link ups: Visible Monday! Shoe and Tell! Kremb de la Kremb #iwillwearwhatilike link up! Hello Monday! Mix It Monday! How I Summer! Creative Mondays! Let It Shine! Elegance and Mommyhood! A Lovely A La Mode Link Up! Sincerely Jenna Marie! Turning Heads Tuesday! Confident Tuesday! Bloggers Who Inspired Me! Tuesday Fashion Party On Trend Tuesday! Reasons to Dress! Upbeat Soles! Trendy Wednesday! What I Wore! The Wednesday Pants! Tucker Up! Jersey Girl Texan Heart! Pumps and Pushups! Color and Grace! Throwback Thursday! Thursday Moda! Thursday Fashion Files! Labour of Fashion! Thursday Favorite Things! Top of the World Style! Fine Whatever! Welcome to the Weekend! Passion for Fashion! Fabulous Friday! Fab Favorites! Friday Favorites! A Forage Fashion! Link Party with Osy! Flashback Fashion Fridays! Weekend Wear Link Up! Sheela Writes! The Weekly Edit! Style Perspectives! Great dress! I love the colors & the pattern! You look absolutely fabulous in it! 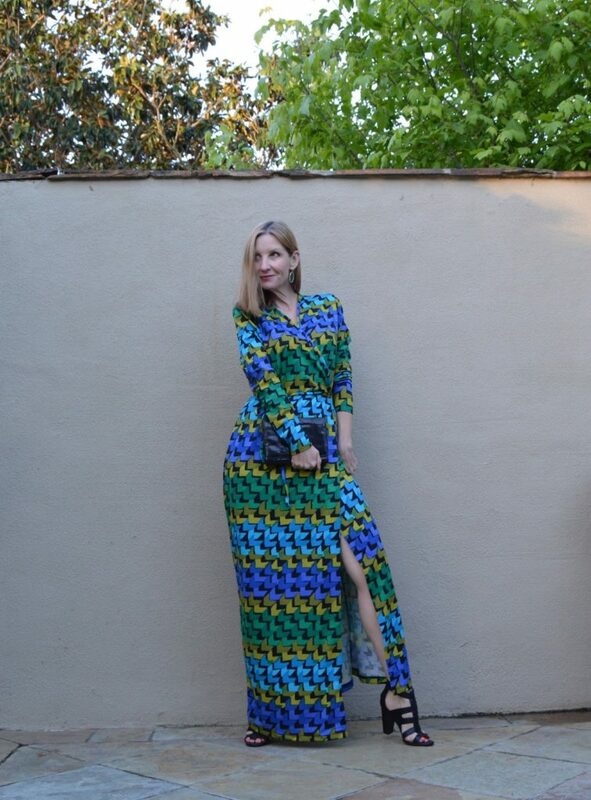 Dawn this maxi looks great on you. You look lovely in this Dawn! One of my favorite looks of yours…ready tackle the world! Wow, love the pattern and style, long legs? I can never resist a maxi and this, my lass, is stunning on you. STUNNING! I'm mean look at you posing away and who wouldn't in it. Gorgeous colours and a fabulous print. If you were my teeny height I'd be swiping it off you! Beautiful dress and you wear it so well! The fit, color and style of this dress is perfection on you! Another gorgeous look! BTW, love your Angelina pose!? Love this dress and you look pretty wearing it! I'm enjoying your blog! This dress looks striking on you!! This maxi dress is divine in all its colorblocked chevron goodness. I need Shabby Apple to send it over to me for a review. LOL Those KS Green earrings were perfect with this and you chose fabulous shoes, too. This makes you look about 6 feet tall. How tall are you Dawn Lucy? What a lovely dress in my favorite wrap style and colors! I am really happy that I found your blog thanks to My Refined Style link up party. Seriously such a fun look! The dress really accentuates your height and figure 🙂 Thanks for linking-up for Lovely à la Mode! Looks amazing on you with your long legs my friend! I love that Angelina pose, nailed it. Very pretty dress. This dress is a show stopper, Dawn. I love the vibe and the colors. Thanks for co-hosting My Refined Style with me! Wow, that is one hell of a dress. Beautifully styled. Keep it simple I say with such an eye catcher. Looking pretty darned good Lucy. Sorry… I meant Dawn… silly me. I love that print!! So pretty! They have such beautiful things at shabby apple. I love their skirts! This maxi is stunning on you!